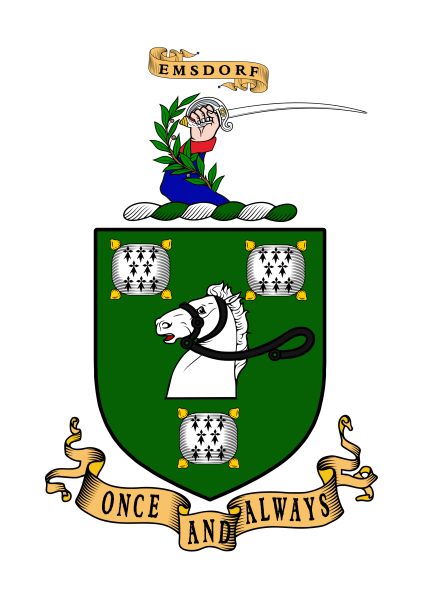 George Caesar Hopkinson (1738 – 1825) is my 4 x great-grandfather. 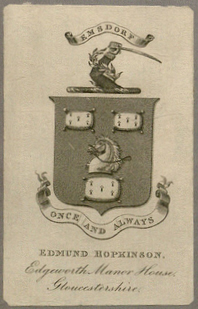 When I learned of the arms granted him late in life I asked the College of Arms what evidence he had produced. David White Somerset Herald advised me in July 2012 that no claim of descent from the Hopkinsons of Lofthouse near Wakefield had been proved & no lineage offered. Perhaps GCH had a family story in mind or harked back to his own youth in Ripon or to a wish to link himself to the 17C Yorkshire antiquary John Hopkinson of Lofthouse. I understand that the College regards the early 19C as a period when rigour often lapsed if applicants were wealthy; after resigning his commission in 1794 GCH had founded a bank & army agency which flourished for over a century. The uniform question may turn on a change in the clothing regulations for light dragoons in 1784. The blue coat & red cuffs would have been what GCH wore as an officer for his last 10 years in the regiment – see Alan Kemp’s “15th the King’s Hussars Dress and Appointments 1759-1914″ published by Almark in 1972″. We may think it odd he didn’t choose the colours appropriate to 1760, when he himself had fought at Emsdorf, but in 1823 he may have preferred the newer version or possibly this detail was decided by Edmund as his father was in his late 80s at the time. 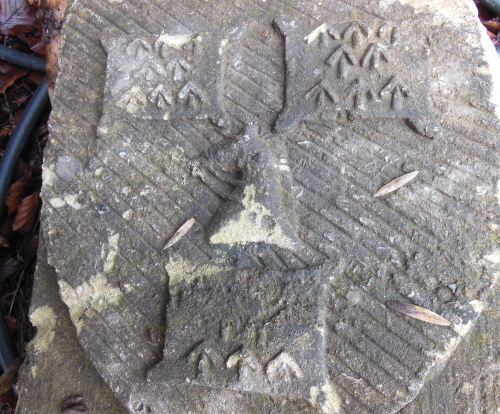 Thank you Stephen for showing the stonework from Edgeworth & for the detective work.